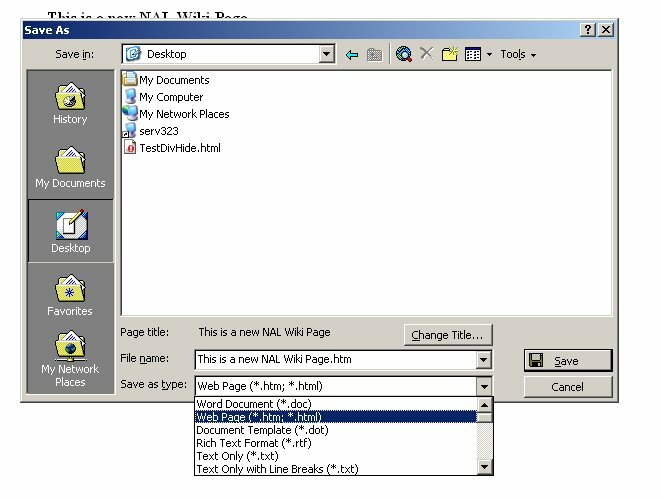 Word can be used to generate pages easily and quickly - following the below steps will help you easily produce new wiki pages for the NALWiki. 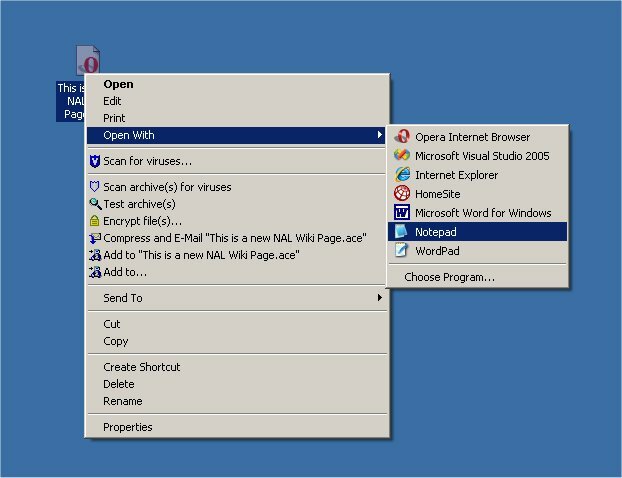 3) Find your file and right click on it then go down to "Open With" then open the file with note pad. 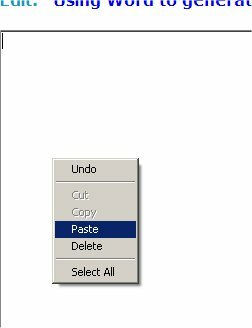 If the "open with" option doesn't appear press shift then (while holding the shift key) right click on the folder then go down to "open with". If notepad isn't in your list, go to the "Choose Program..." option and select it. 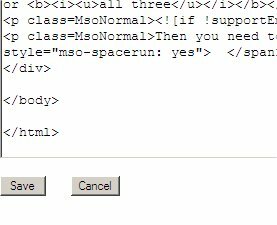 5) Go to the wiki and the page you want to create, then right click and select paste. 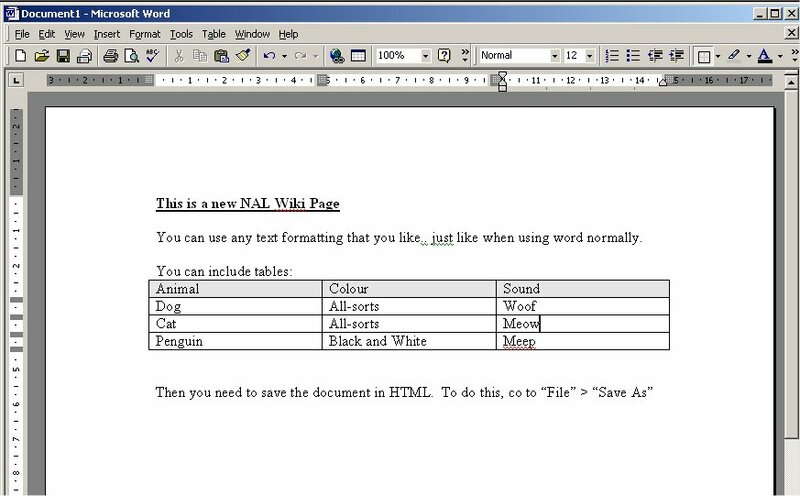 6) Finally, save your file and see the results - edit as needed to remove unwanted text that is appearing. - there will be some!